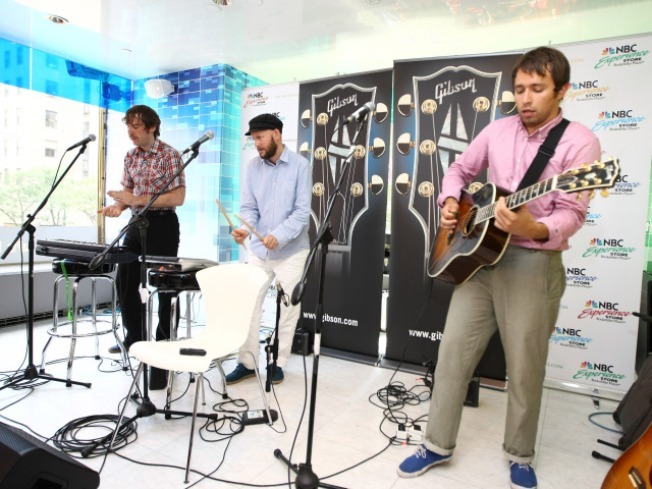 Swedish pop trio Peter Bjorn and John have collaborated with Kanye West and others. Five years since their whistle-heavy single “Young Folks”—and not much less since its ubiquitous presence tapered off in car/chip/sneaker commercials—Swedish rock band Peter Bjorn and John announce their return tour across the Atlantic. The trio will tour North America in April and May in support of Gimme Some, their sixth studio album, which lands in stores March 29. The tour includes two New York stops: May 2 at Bowery Ballroom and May 3 at Music Hall of Williamsburg. Bachelorette opens both dates, which are currently sold out. “Young Folks” is a bit of false advertising, for its indefatigable catchiness and cameo by Victoria Bergsman of the Concretes. PB&J are a much heavier entity on record and in performance, favoring a sonorous guitar crunch and rapid punk clip over hippie-dip singsong. Expect the gruffer side of Sweden. Apr. 30 - 9:30 Club, Washington, D.C.